Digital marketing is a necessity and it has helped numerous businesses survive in the market since the dawn of the Internet as we know it today. Unless your business is using some sort of internet marketing, you can struggle to really appreciate or experience the full growth of your business, it is literally an untapped potential. Businesses of all sizes have websites and these all need to have some help with getting to grips with digital marketing. This is where a good digital marketing consultant can be a real business asset. The challenge is knowing what to do and often the biggest struggle is being willing to accept that there is a lot you may not know. Digital marketing moves fast, Cheetah chasing gazelle speeds is an understatement. If you are in business and want to increase your customer base and your bottom line then here are the top reasons for you to hire digital marketing consulting services or a digital marketing consultant. 1. Professionals, you need an expert and a digital marketing consultant is living and breathing the digital world. They know the very latest strategies, changes and trends and can present you with unique and proven ideas. The aim is to help your business become a success and to get your business the type of visibility it needs to generate more revenue and grow your customer base. 2. Social Media is a vital part of digital marketing, what tools are there that can help you, how can you automate some of the work and which social media sites should you be focusing on? A good digital marketing consultant can work with you to devise the best tools and platforms and make social media work for you, it is often far easier than you think to get real results. 3. It’s all about survival, you do not want to be the business equivalent of the dinosaur because you are unfamiliar with some of the tools that make your competitors more successful. Why just survive, why not thrive? Internet marketing is a long term approach to making and keeping your business successful and you need an expert digital marketing consultant who has internet marketing in their DNA to help and make sense of this for you. 4. Every business has a brand, some intentional and some accidental but getting that brand out into the wider world takes skill, using digital marketing is the most time and cost effective way of doing that, once done, you just need to maintain it and a marketing consultant versed in digital techniques can not only get you there but keep you there. 5. Digital Marketing consultants cover everything in the online world and that includes the often overlooked element of email marketing: Email marketing is a really powerful tool and it can reactivate lapsed clients or build up a targeted list of new ones. Communication is key in any area of business and a smart email marketing strategy can skyrocket your business. You need to be careful as there are rules and best practice that govern email usage and a professional digital marketing consultant will help you avoid pitfalls and get great results. 6. Competition is necessary but how can you gain the competitive advantage in a busy market? Simple, use the Internet to find out what your competitors strategies are and then use them as a basis to improve upon! A good digital consultant can help you access this raw data, make sense of it and then intelligently apply it to your business. Sounds easy, but getting the right information takes time and skills and professional help will make sure you are focusing on the right things. 7. Understanding SEO really is a full-time vocation, you need to be fast on your feet and be able to apply what you learn in the best way. Sometimes the best route is the most obvious and a digital marketing consultant can help you see that and get the right team in place to deliver real results. Search Engine Optimisation is not a dark art, it’s working with data and doing tasks to get results. Which tasks though are going to make a big difference to the results you experience. 8. Time and Money, two things we need as businesses but they are rarely available together. 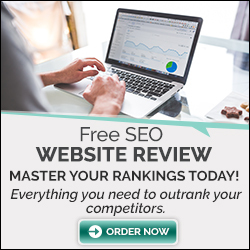 If you have the time then SEO is a good route to digitally market your business but if you need results now then understanding how to advertise online will get you much faster (sometimes instant) results. Paid media needs to be approached with respect, you can lose a lot of money if done incorrectly, one small ommission can have negative results on your budget but do it right and you can see big returns. That’s why a consultant can provide the details to get your business on the right path. 10 Like an accountant or a Lawyer, you are hiring a professional who fully understand their area of expertise, Internet Marketing and Digital Marketing are complex areas with lots of opportunities but the wise need to use an expert to really uncover and tap into that market potential. Get your free 30 minute consultation with Haych Enterprises, find out if and how we can help your digital marketing.